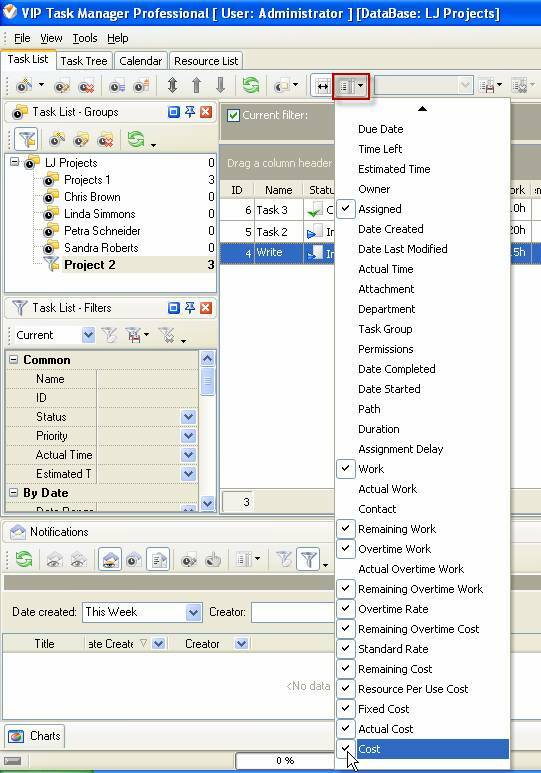 Cost custom field shows the total scheduled or estimated expense for a task or project assigned to resource. This cost is based on actual cost (the cost for actual amount of work assigned to resource and task fixed costs) and scheduled cost for remaining work. 3. in "Title" field enter "Cost"
4. in "Code" field enter "cf_cost"
5. in "Type" field select "Currency"
7. to display the value of custom field Cost on Task List or Task Tree please go to Task List or Task Tree, click Task List Columns or Task Tree Columns button and check the custom field "Cost"